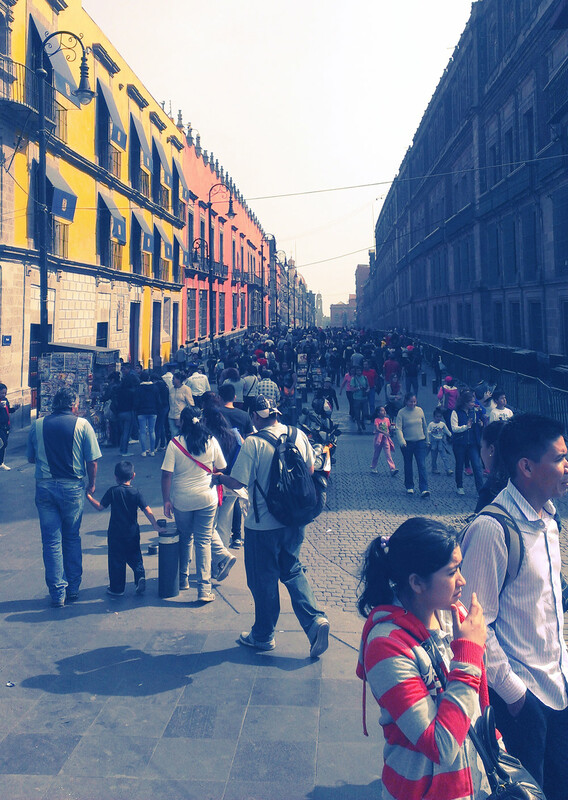 Mexico City’s metropolitan area is home to 22 million people and is as energetic and chaotic as you can imagine. With such a concentration of people, ideas, and economic activity, it has become one of the great cultural, business, and transportation nodes of the globe. From its days as one of the world’s smoggiest locales, the city (also known as “the D.F.” or “distrito federal”) has come a long way in some of its transportation decisions, but has much work ahead of it to improve the quality of life for residents and visitors alike. I had the privilege of traveling through Mexico recently and documented my observations on the urban form of two cities; you can read my Oaxaca City post here. 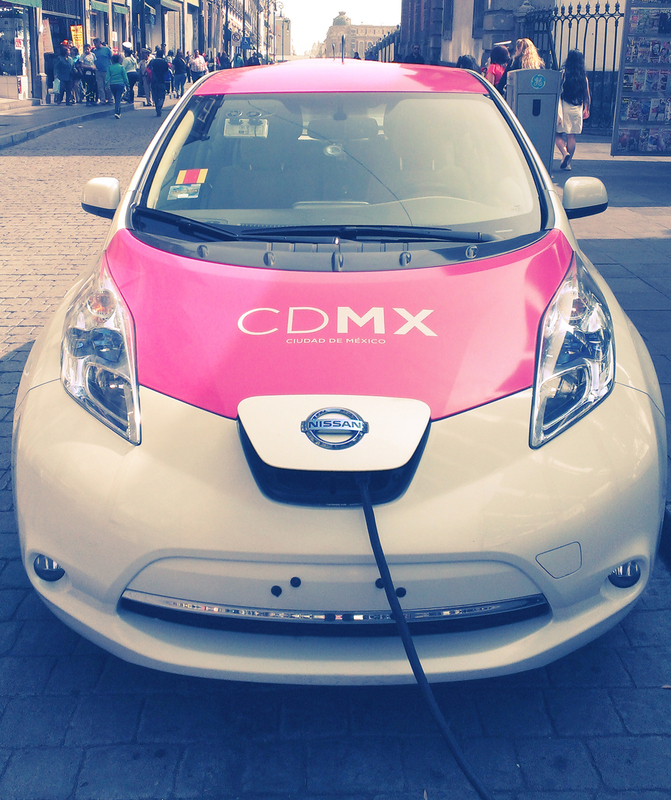 In this article, I’ll touch on Mexico City’s progress towards becoming a cleaner and greener city through some interesting programs and policies. Why is Mexico City important? Mexico City is just plain big, and getting bigger, and with demographics on its side, you can be sure that the future of the world will be written in places like Mexico City. It’s one of the most populous urban locales in the Western hemisphere and a laboratory to test solutions for other growing mega-cities. How far has Mexico City come? In 1992, Mexico City had the lowest air quality of any city in the world. Ozone alone was responsible for 1,000 premature deaths and 35,000 hospitalizations per year. Since then, the government has mandated the use of catalytic converters and emissions testing for automobiles and that gasoline be unleaded. They’ve also implemented Hoy No Circula, a policy that means cars—based on license plate numbers—aren’t allowed to drive on certain days. The municipal and state governments have also made a concerted effort to move polluting industries away from the city and have invested in mass transit and bike lanes. In particular, the subway is fast, cheap (five pesos per trip), and clean, while 150 kilometres of designated bike paths now line the city. These measures have made a difference: sulfur oxide pollution is down 70%, but with 5.5 million cars on the road and average automobile commutes of three hours per day, it’s no surprise that poor air quality is still responsible for 5,000 premature deaths in Mexico City every year. This is to say nothing of the incredible dangers posed by traffic accidents and the health consequences of inactive transportation. Mexico can be a dangerous place to move around in. 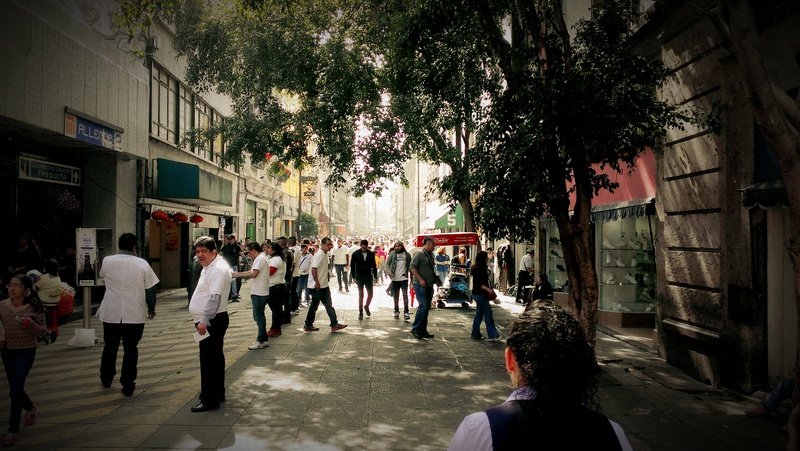 Like in my Oaxaca City post, I’ll start with the basic urban form: Mexico’s core areas have a number of pedestrian-only and highly walkable plazas and streets that really draw people out. Yes, the city is large, sprawling, and car dependent; but the importance of good land use cannot be understated in these centres. Walkability is good for business, good for health, good for air quality, and good for energy efficiency. It makes people want to come out, socialize, and spend money. 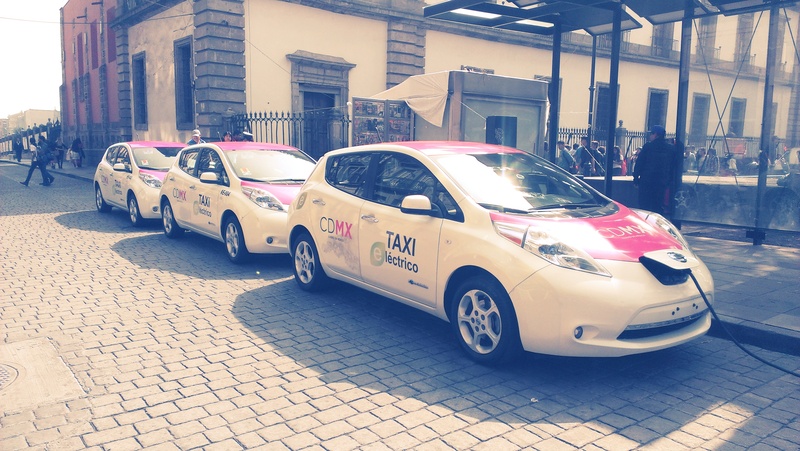 While electric vehicle (EV) penetration in Mexico is low, Mexico City has a fleet of about 60 all-electric Nissan Leaf cabs in circulation. Call it green washing, in light of the city’s issues, or call it a pilot project, but it’s an important start in terms of cleaning the air. The municipal government is in a great place to push the uptake of EVs through charging infrastructure and the provision of incentives. Tackling fleets first is an effective way to nudge the market. 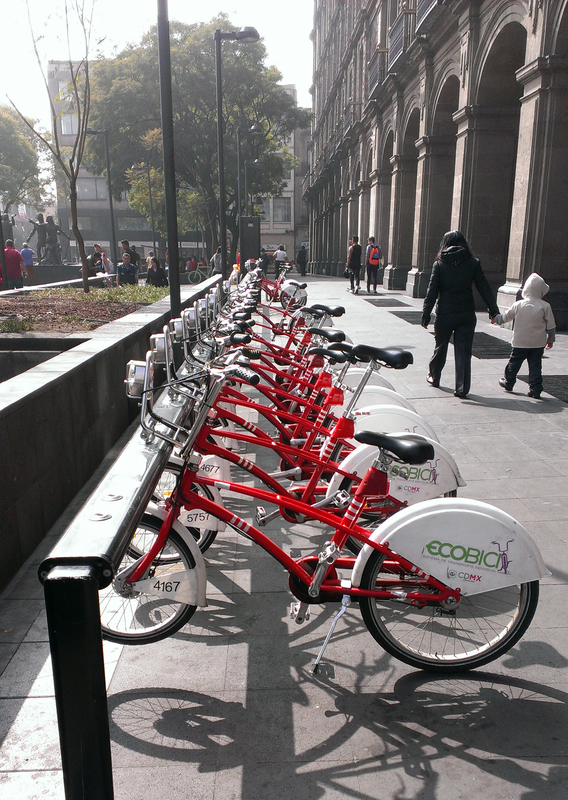 Mexico City is home to the world’s fourth largest bike share, Ecobici. With over 6,000 bikes across 444 stations, about 30 million trips have been taken by the program’s riders. How’s it work? Get an annual subscription (400 pesos or about $37 CAD), or use your credit card for a daily or weekly pass, and you can essentially bike for free. Bikes are picked up and deposited at automated stands, and as long as your voyage is under 40 minutes then the trip is free. Human-powered bike taxis, or rickshaws, are an old solution to a modern day problem. 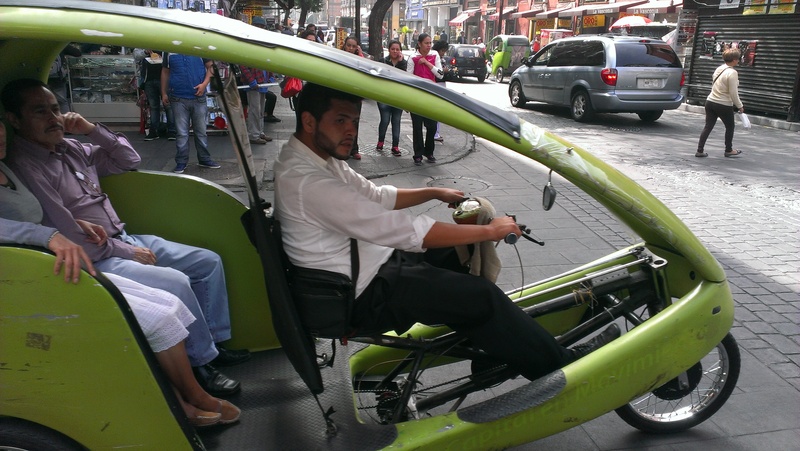 Mexico City’s downtown areas are flat and compact, and with so many people in such a small space, zero-emission bike taxis offer a flexible alternative for personal transportation. I couldn’t verify whether any of these bike taxis are electric assist or not, but this option could open up bike range and help to replace more conventional cab and vehicle trips. Paris has the Champs-Élysées and Mexico City has the Paseo de la Reforma. This grand boulevard is the social, political, economic, and transportation spinal cord of the city and is home to everything from the Mexican Stock Exchange to Chapultepec Castle. What’s the best use of this incredibly large and beautiful public street? 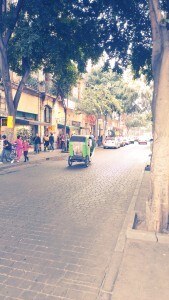 Shut it down to cars every Sunday, step back, take a deep breath of clean air, and experience some culture. 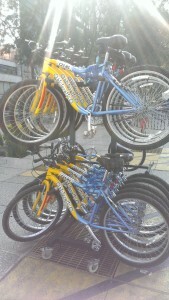 This pheonmenon is known as Ciclovía and it sees some 60 KMs of streets welcome 50,000 cyclists in a car-less atmosphere. Cyclists and rollerbladers aside, I saw free fitness classes, concerts, and markets spring up, which really brought a sense of vibrancy amid all the old historic buildings and monuments. As if bike sharing isn’t easy enough to manage and nearly free to use, there’s also a program called Bicigratis, that’s run by a local NGO and offers free bike rentals on every day save for Monday. After swapping a couple of pieces of ID for a mountain bike, you’re free to roam the city’s bike lanes and parks—and if you’re brave enough, the streets. Biking is really easy, accessible, and fun, but for any fence-sitters that need a nudge towards two wheels, how do you turn down a free bike experience? 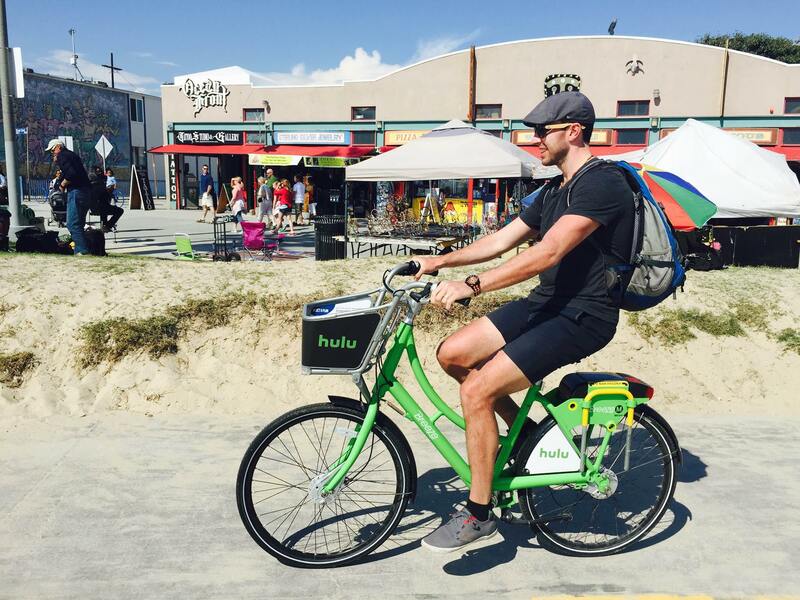 I had no problems getting a bike, so the program works as well for visitors as it does for locals. A few other items I didn’t mention: obviously, there are no mandatory helmet rules in the city (they were recently repealed), which helps pave the way for cycling participation and bike sharing. However, cars are the sharks of the fish tank of Mexico City—traffic laws are often flouted and pedestrians definitely do not have the right of way. I can’t image I’d want to cycle in traffic without a helmet in this city. I also experienced a toll road in Mexico City. Traffic, as mentioned, is crushing here, but an overpass that required an electronic receiver/transmitter in the vehicle, allowed our party to bypass much congestion in exchange for, what I’m told, is a very hefty toll. I like road pricing, but it should be applied in a comprehensive manner, and from what I saw the system is as much a public subsidy towards high income drivers as it is a transportation management and revenue generating tool. In some ways big problems give leaders the political capital to pursue bold leadership and I think that lesson rings true in Mexico City. There has been a lot of improvement in the city’s policies and transportation, environmental, and health outcomes over the last couple decades, but people and the government will need to continue to ratchet up existing initiatives, as well as take the occasional and controversial leaps forward. The eyes of urbanists the world over are on you, Mexico City! Photos: They’re all taken by me, available on Flickr, and are free to use. Next ArticleDenmark's race to renewable electricity: How costly, how effective?